So this is my second ‘My Job in Pictures’ post. It was hard to choose this week but here are my final three! 1. 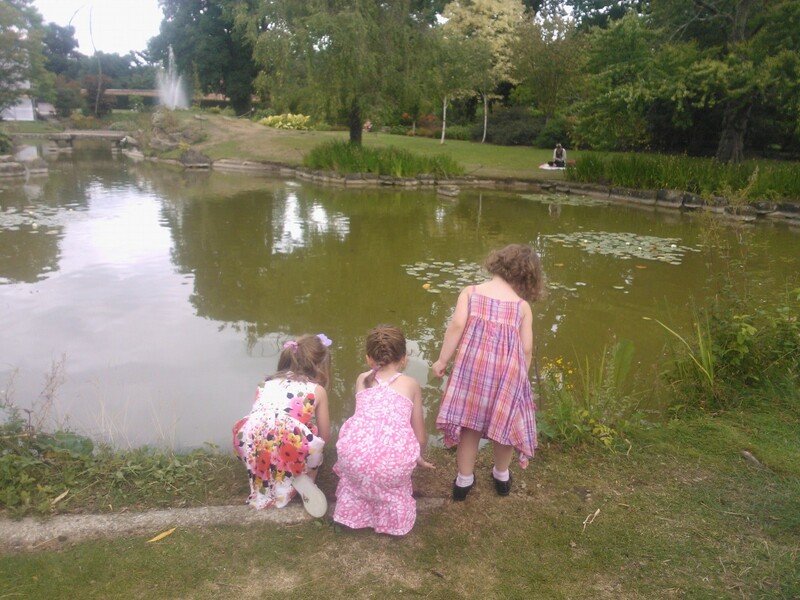 Some of the younger children enjoying our day out to Clivedon National Trust site 🙂 I had so much fun playing with them and being with them as they made ‘collections’, turned a ball, cone and sunhat into a person, used sticks as magic wands to make the world ‘even more beautiful’, adventured across the bridges and admired ‘GIANT’ leaves, elusive fish, and bright orange dragonflies. Being with children does make everything a little more magical! 2. 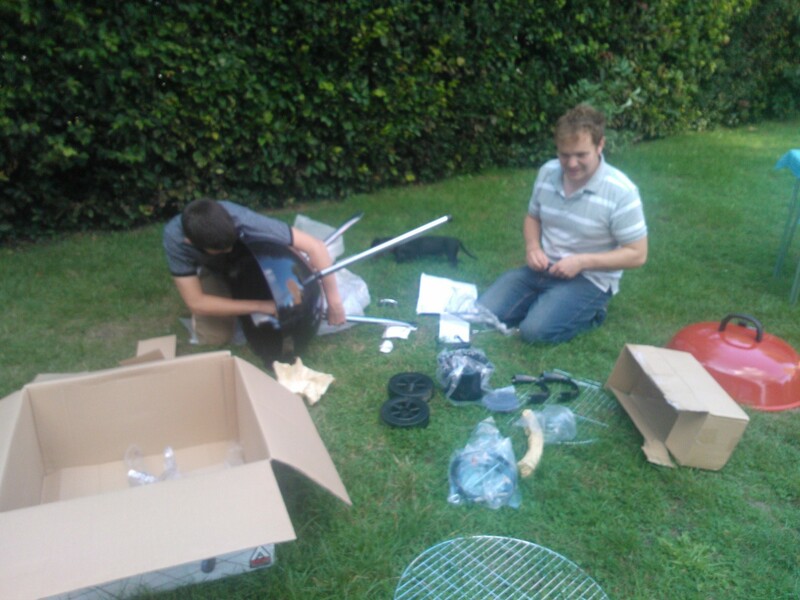 Andrew and a youth group member frantically trying to put a BBQ together! The youth group are raising money for a trip away, and they cooked for and served older church members on Sunday evening. It was actually pretty stressful but they all coped brilliantly and their guests had a brilliant time 🙂 So proud! 3. Was sitting at the playdough table on Sunday morning. I had already seen some excellent playdough dinosaurs, a princess necklace and a butterfly, heard a fantastic but rather gruesome story about a menacing crocodile and ‘eaten’ some delightful pancakes when I noticed one boy’s particularly imaginative creation. 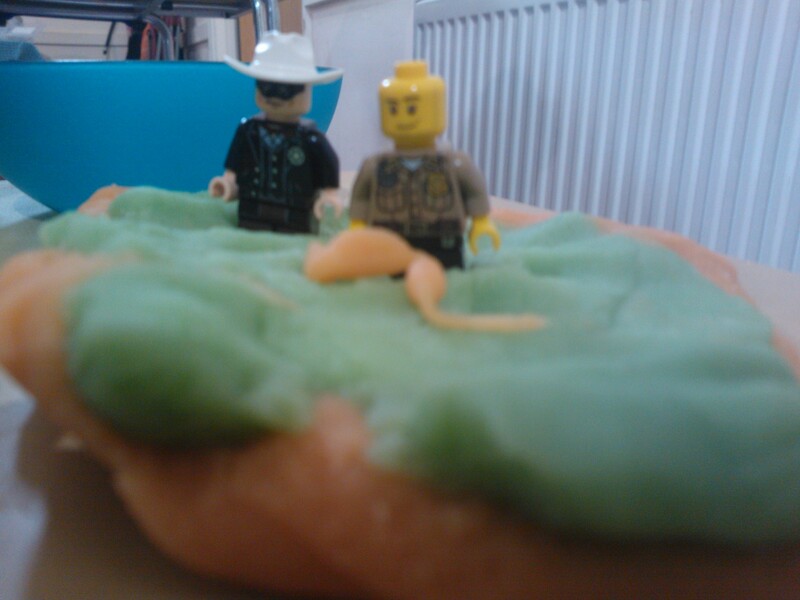 He had made a fantastic desert for his Lego characters, using orange dough for the sand and green for the cacti! Unfortunately, I didn’t get a very good picture of that, but I did capture his next creation, when the Lego men had become caught in a swamp!